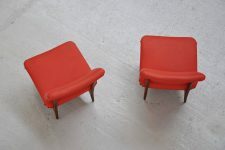 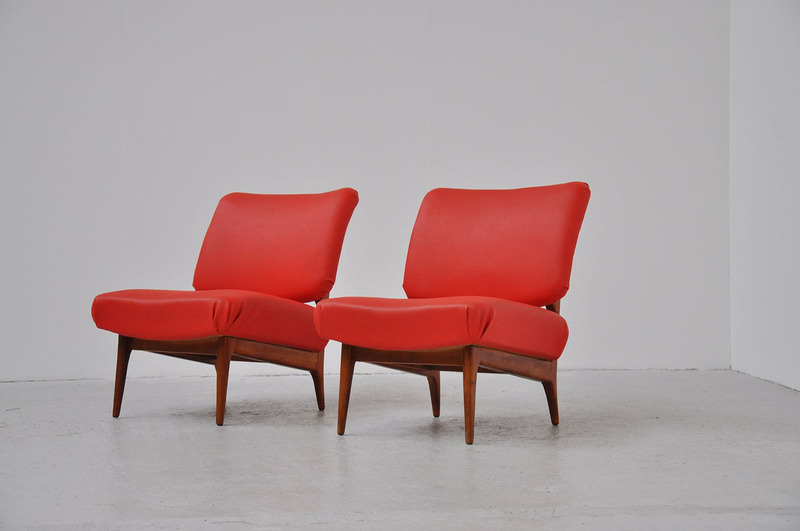 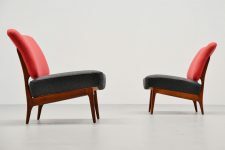 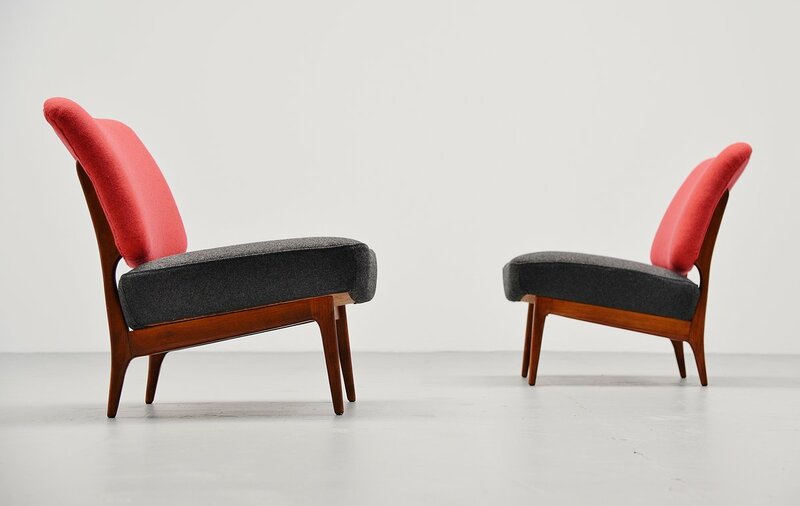 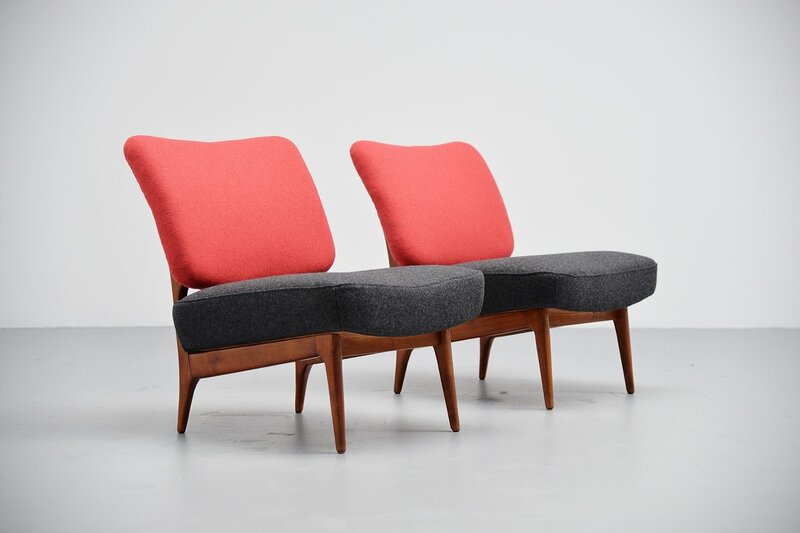 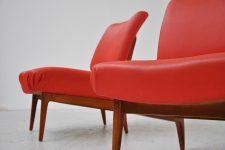 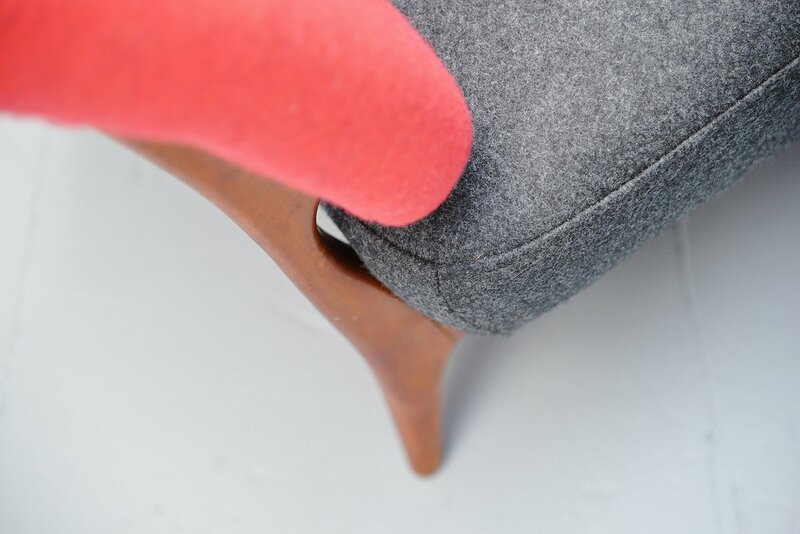 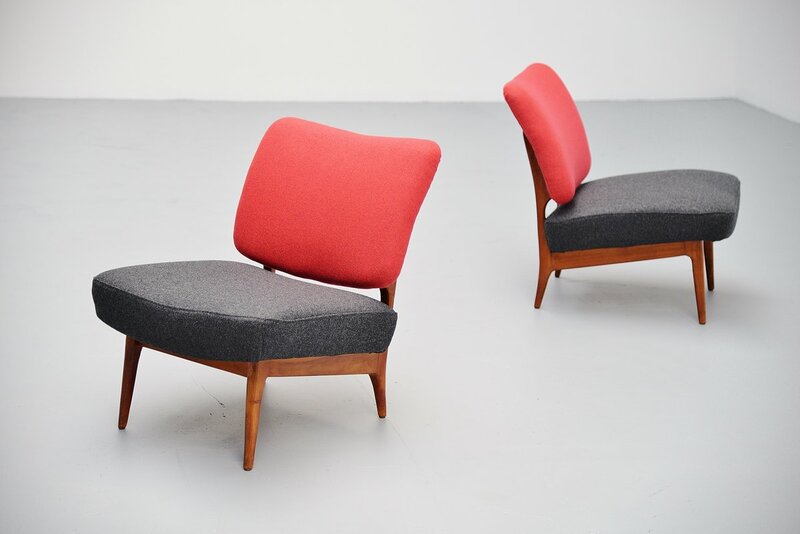 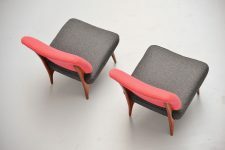 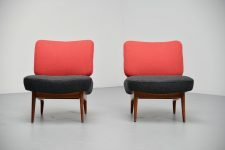 Very nice set of lounge chairs designed by Theo Ruth for Artifort, Holland 1953. 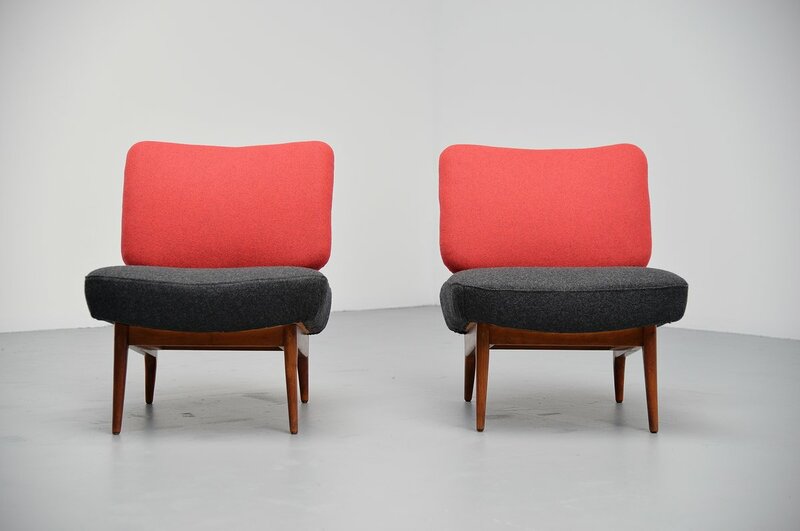 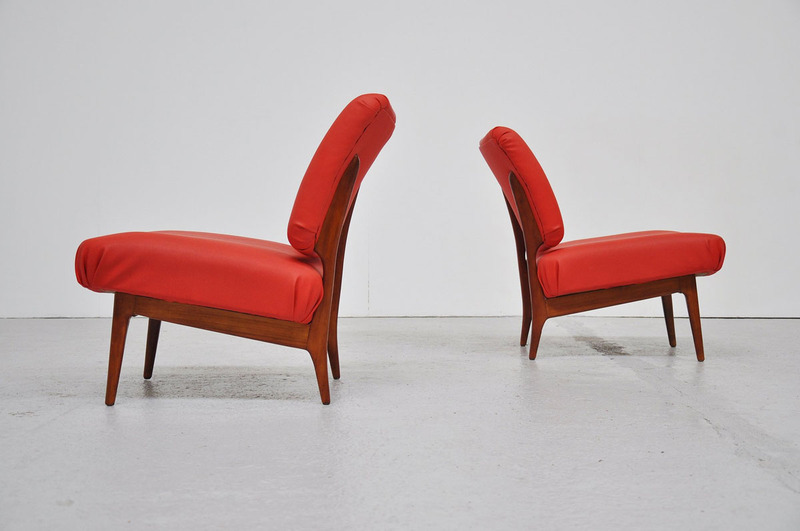 These chairs have a solid teak base and are newly upholstered with Divina fabric by Kvadrat. Very nice in 2 colors like they originally were. Comfortable lounge chairs in excellent condition.